We still have battles when it comes to meal time, but the victories we have achieved sure are sweet! 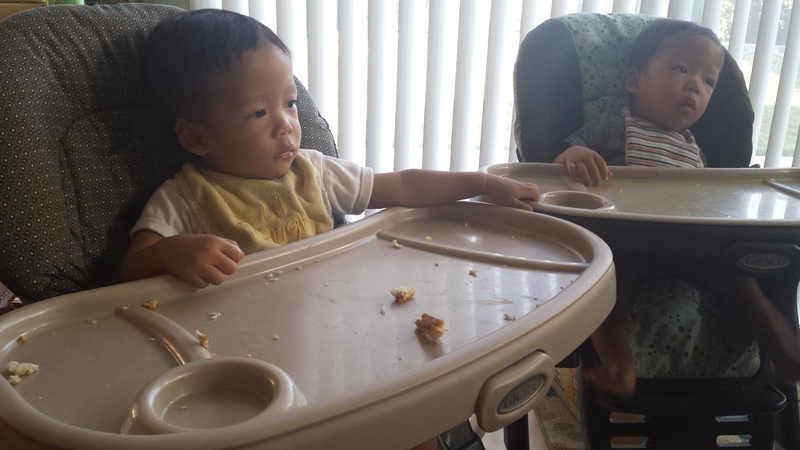 Not gonna lie, thank you, ELMO, for continuing to keep the boys calm (distracted) as they eat. It’s been fun singing along, but the downfall is that a song will be stuck in my head for the three days. I JUST got the brushing teeth song outta my head! What are those amazing-looking devices that appear stuck to the boys’ trays so they don’t throw them across the room and make a mess all over the kitchen? 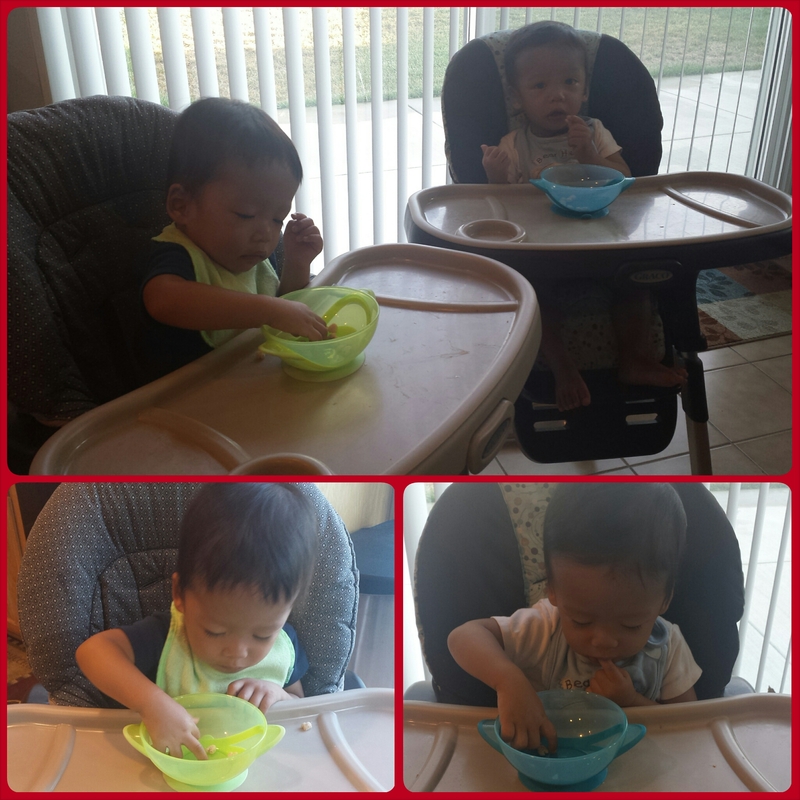 Why they are these wonderful suction bowls I ordered for the boys! 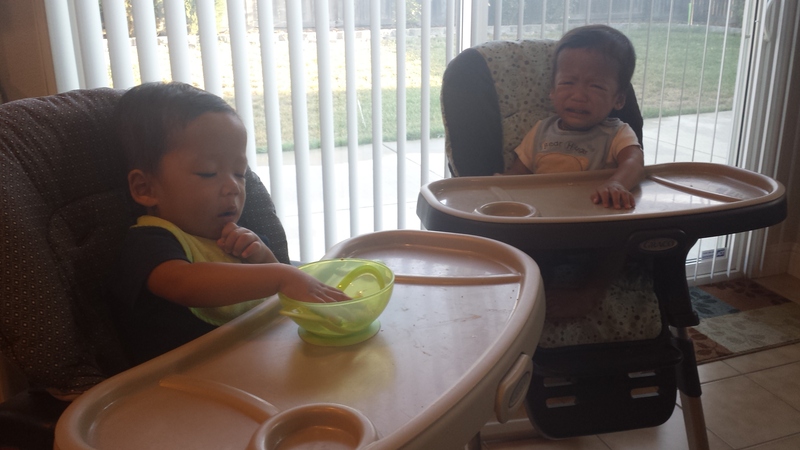 They stay on the boys’ trays long enough for the boys to feed themselves, but Jer (of course) figured out how to knock his over and he was not very happy when I took it away. Anyway, these bowls will be very helpful getting the boys used to plateware and it is nice that they come with a cover and spoon for travelling. 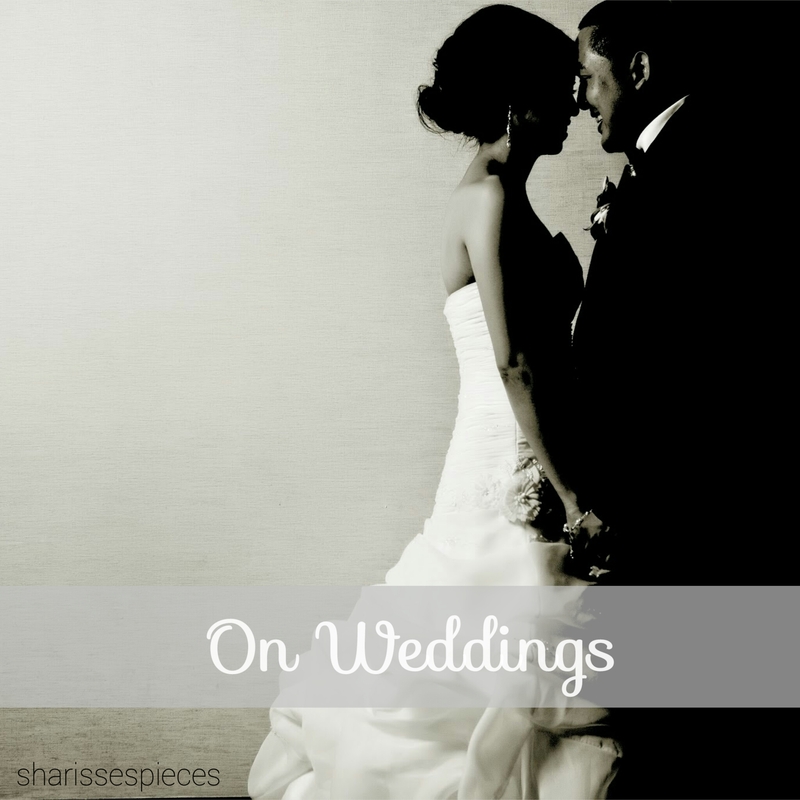 My blog has been all baby these days, but can you blame me? They’re too cute and funny not to share. Makes me look not so interesting. But here’s something I was proud of! 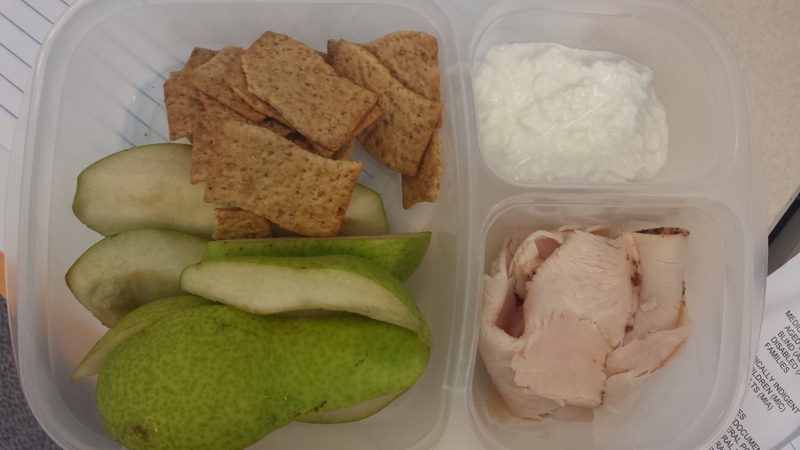 I present an “adult lunchable!” Turkey, cottage cheese, pear slices, and wheat crackers. At my work desk I am always munching so I am trying to get back into healthy snacks. There was a time when I was doing really well bringing healthy snacks to work. Need to get back into the groove. Now for my recipe share. Finally got around to typing this recipe up. 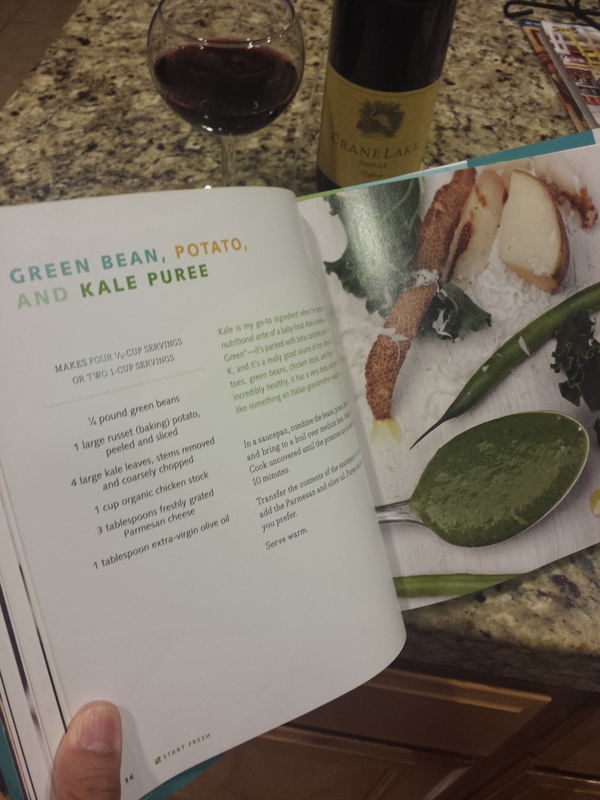 At the time I made it, I didn’t have kale so I used spinach instead. 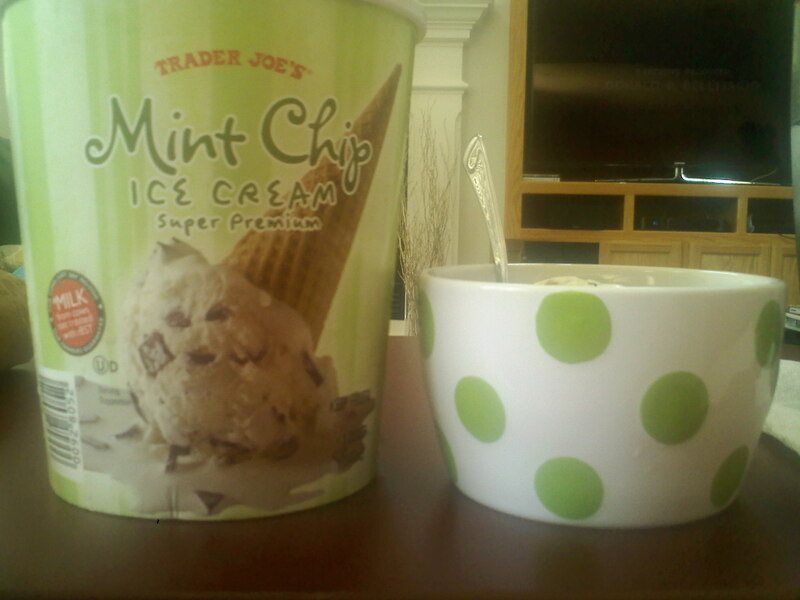 It was so yummy, I was licking the spoon myself. I think it was the Parmesan cheese at the end that really got me hooked. You must remember the most important part of preparation. No, it’s not ensuring you have all your ingredients or that your recipe is handy. It’s that you have a glass of wine at your fingertips. 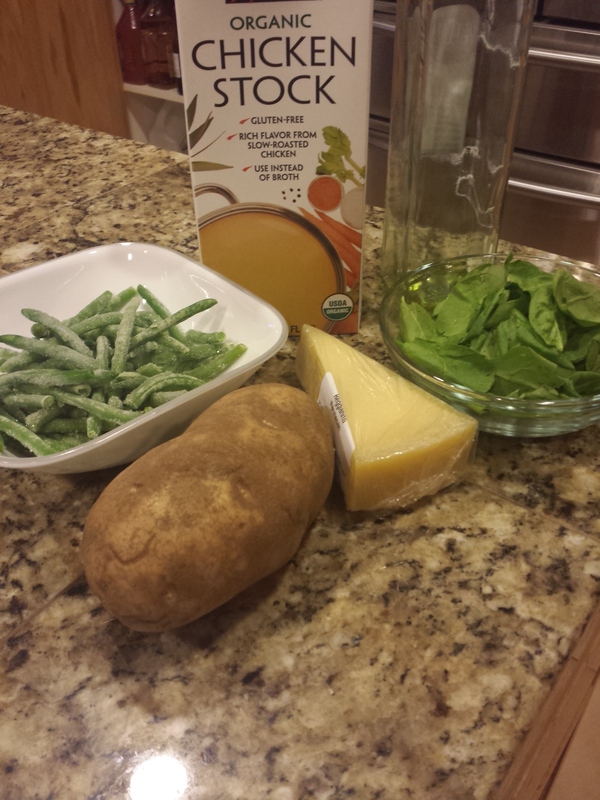 In a small pot, combine all ingredients except cheese and olive oil. Heat over medium heat until boiling. 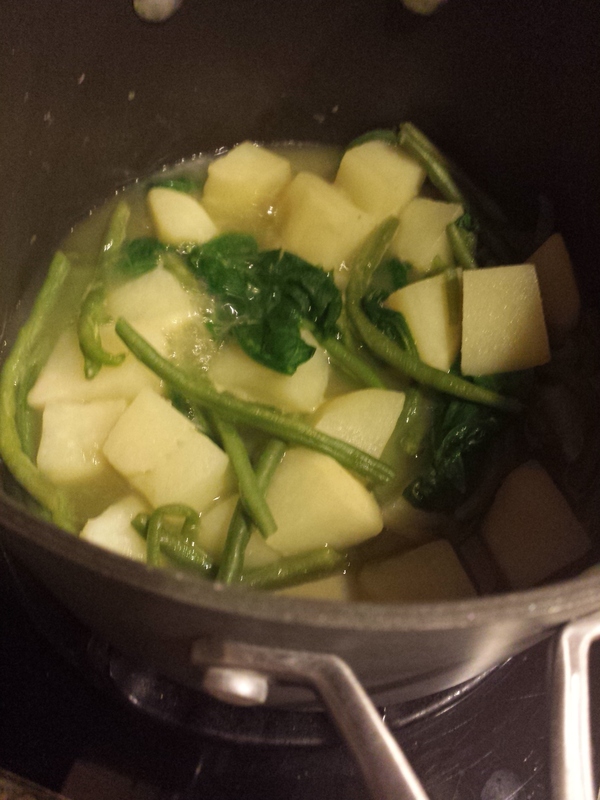 Reduce heat and simmer for 10 minutes or until potatoes are tender. 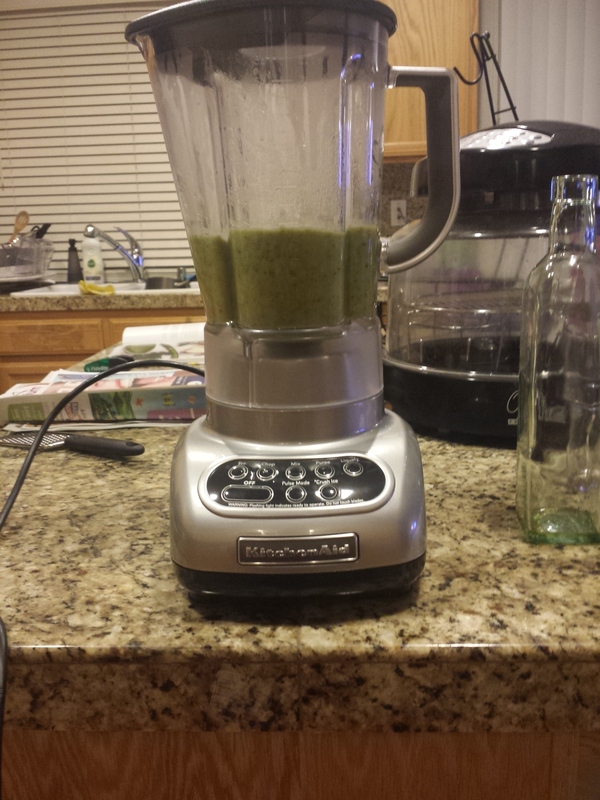 Remove ingredients and place in a blender or food processor. Add Parmesan cheese and olive oil. Depending on your baby’s ability to eat solids, blend or puree until desired texture is reached. 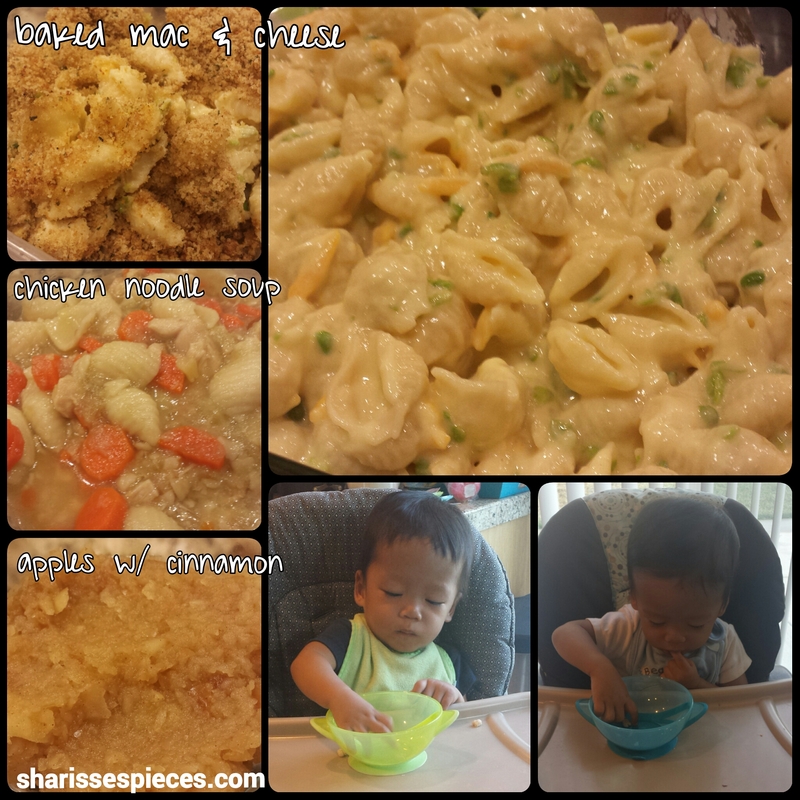 At the time, I pureed like crazy because I only recently introduced the boys to solid foods. Ta-da! I divided the batch into old Gerber containers to freeze. Verdict: The boys sorta liked it. I liked it more than they did. 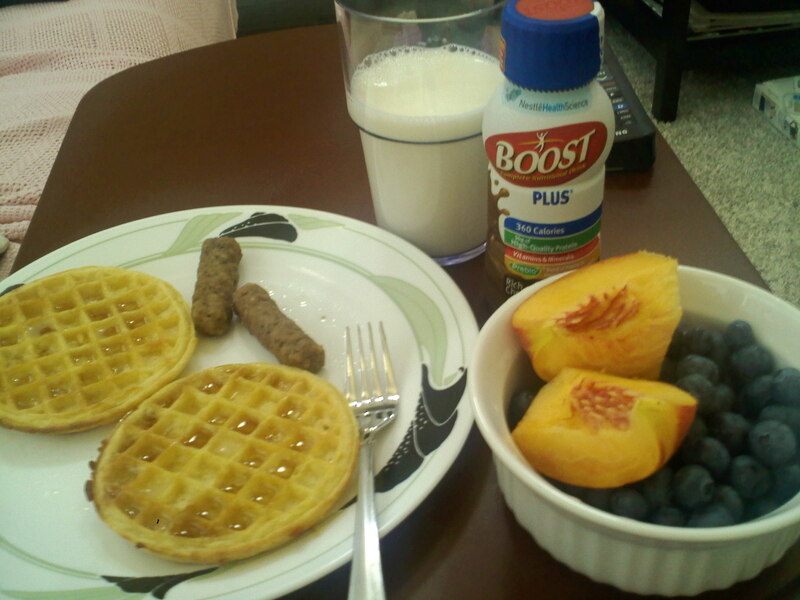 I need to make this again now that they are really eating and see how they like it now. 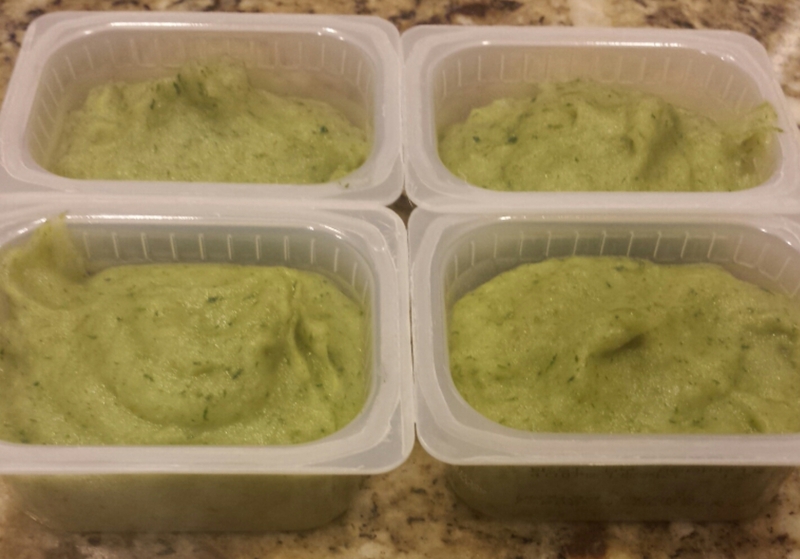 See more homemade baby food recipes here! Keep on chuggin’! Now THAT is my mantra, in addition to the other one I mentioned. Slowly, I am reminded that the last few weeks of pregnancy can be challenging in the sense that you have been pregnant for so long now and can almost be tired of it or at least tired of all the symptoms, changes, and other things you have to deal with as you get bigger. 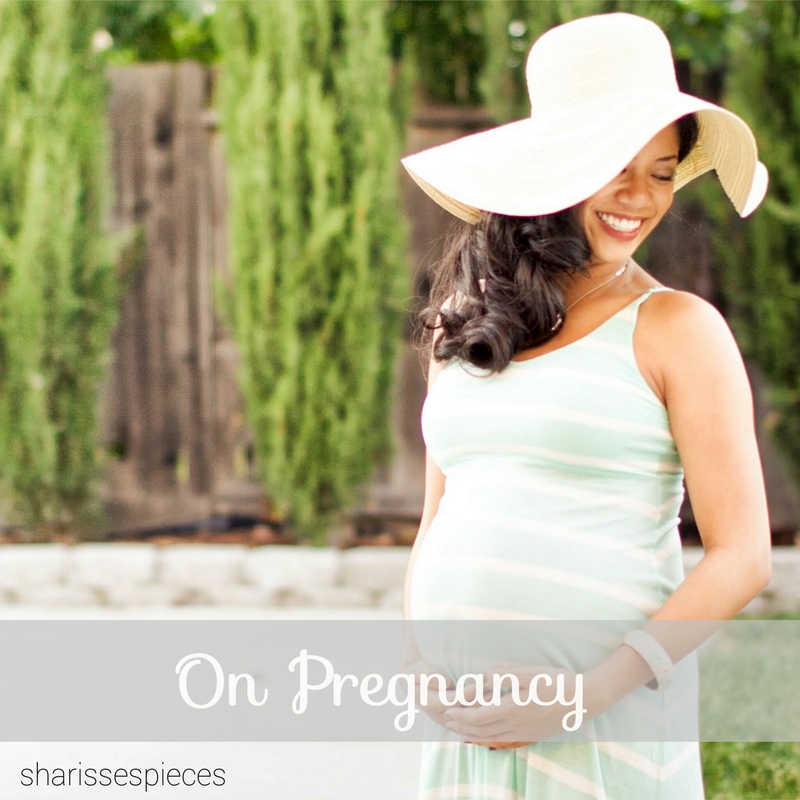 But at the same time, I love being pregnant and I remind myself how much I will miss being pregnant once it is over. This fleeting moment in time is so precious and while each day and week can sometimes seem to take a while to get through, I look back often and realize how much time has actually gone by. 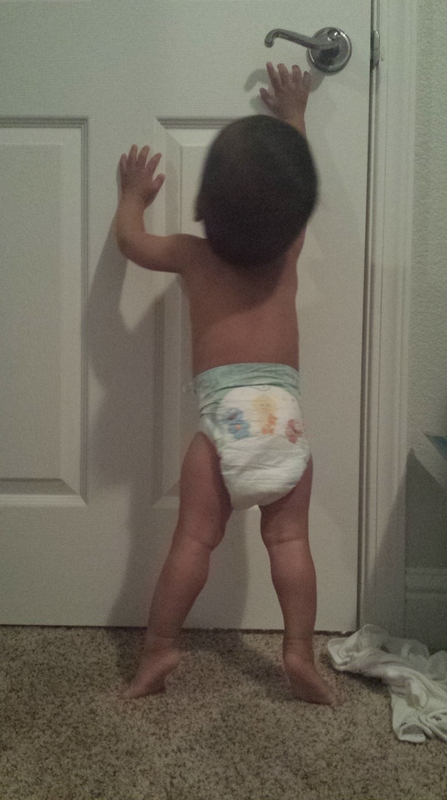 So in these final weeks of pregnancy, I am constantly telling myself to keep on chuggin’ and keep my eyes on the prize! 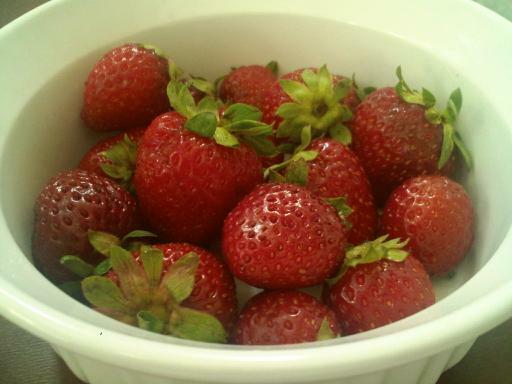 On top of all this healthier eating, a little guilty pleasure is good for the body, too… wouldn’t you agree? What is it about F.R.I.E.N.D.S. that makes me literally LAUGH OUT LOUD? Even if I’ve seen an episode a ton of times and I know every word, I still laugh so hard. Is there a show that you can watch over and over even if you’ve seen every episode and it still makes you laugh? 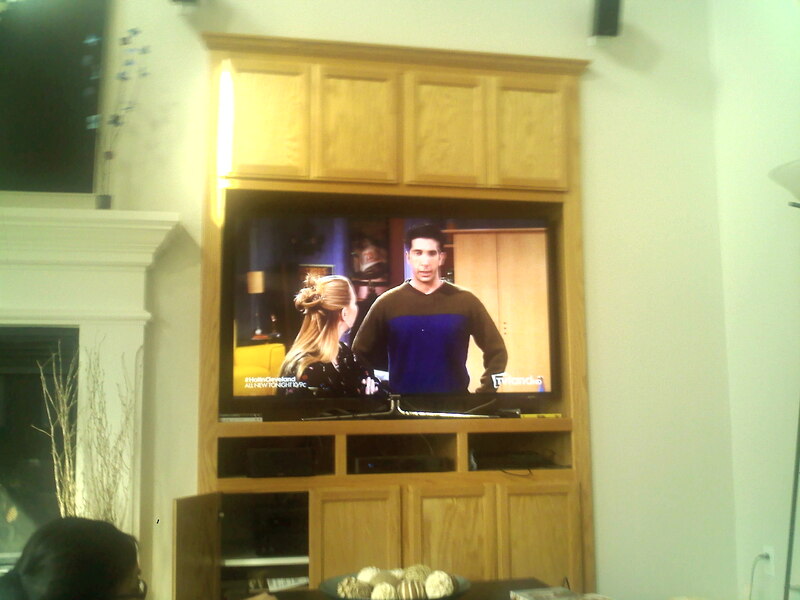 Another show I am watching reruns of at the moment is Jon & Kate + 8. I used to be really into this show when it first aired a few years ago and then the hubs bought me all of the seasons for my birthday one year! I only opened Season 1 since then and told him I would definitely want to watch these when we have our own kids. Well, here I am, cooking our babes and watching the DVDs just as I wanted to! The thing I love about the Gosselin children is how fascinating it is to see eight completely different personalities from the same set of parents. 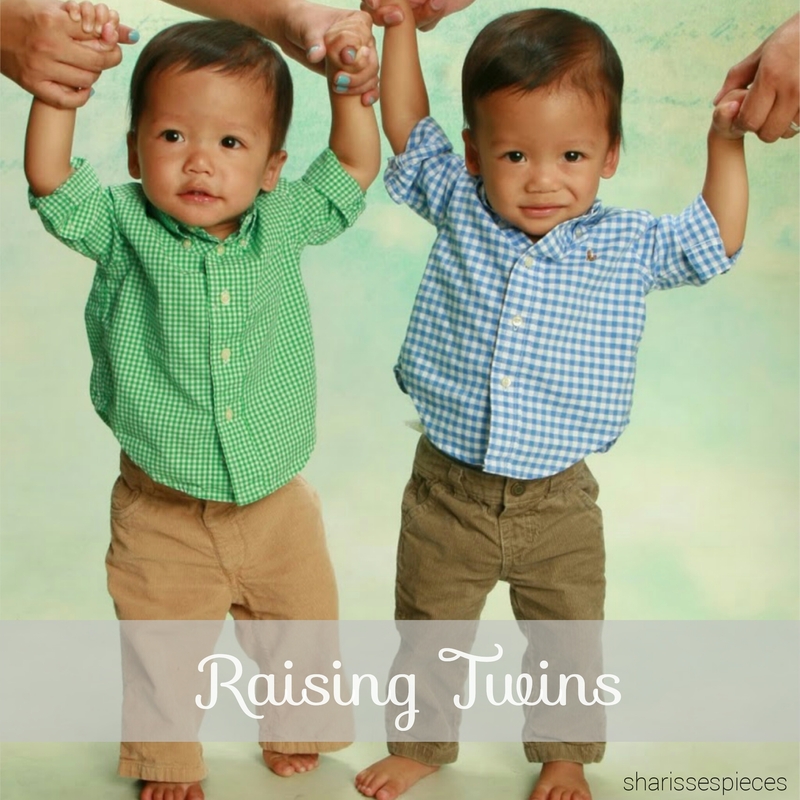 Each set of multiples are fraternal (a set of twins and a set of sextuplets… yes, that means six babies at once). So even though these kiddos shared the same womb and the same parents, they can be so different in personality, tendencies, and characteristics. For example, among the older twin girls, Mady is very dramatic and emotional whereas Kara is laid back and chill. Among the sextuplets, the kiddos range from crazy, free-spirited Alexis who is always smiling to Collin who has a technical/structured mind and is very stubborn. 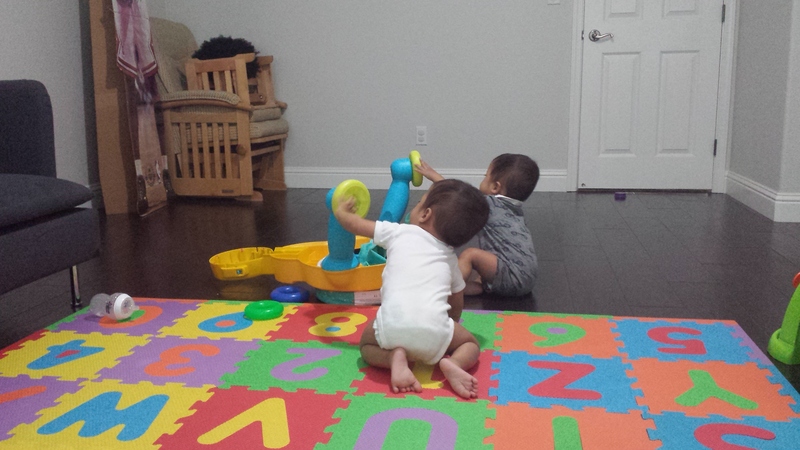 There’s Aaden who is quieter than the rest and Joel who is a daddy’s boy. Hannah is a mama’s girl and leader and Leah is the tiniest and cutest of the bunch who just melts my heart. Another reason I like watching the show is to see what it’s like raising multiples and take a few tips on household organization, feeding/caring for the babies, and other parenting ideas. I do not at all support Kate’s over-controlling and sometimes unnecessary ways she treats her husband, but she is very organized and a germaphobe/control-freak who does love her children so much and does all she can to bring order to her house and raise her children right. She even strives her hardest to prepare only organic and high quality food for her children, no fast food.